Good news for slotcar racers in South East Queensland as a new track (two tracks in fact) opens at the southern suburb of Eagleby which is about half way between Brisbane city and the Gold coast.The track is owned and run by local veteran slot racer Chris "the Stig" Dietrich. 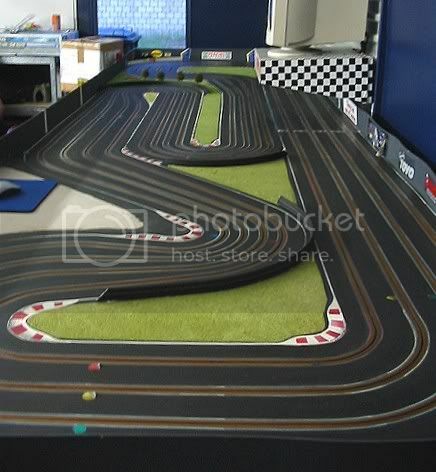 The main track is a huge Carrera four lane track for racing the faster classes and there is a classic four lane non magnet board track for the technical racer. Racing is on the second and fourth Fridays of each month, practice starting at 6.00 pm and racing starting at 7.00 pm. Both tracks have race management systems which randomly rotate each driver across all four lanes. There are a wide range of classes raced from Rally to Aussie V8's and everything in between. 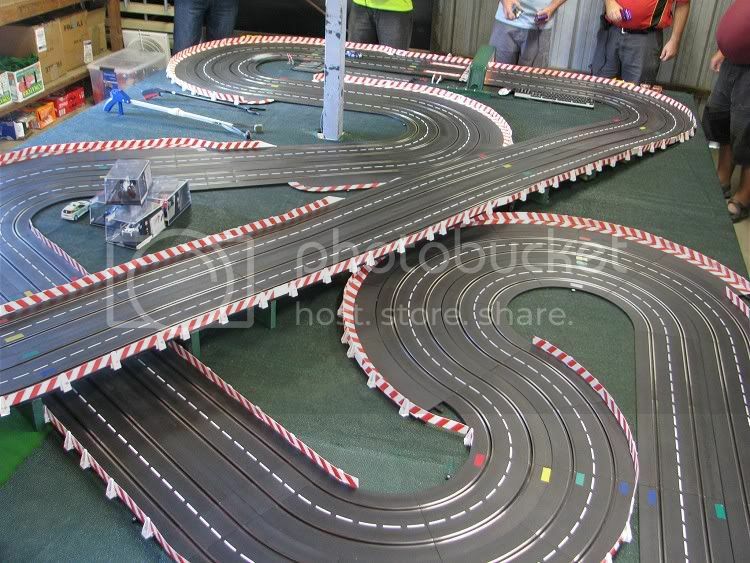 The track is suitable for all makes of 1:32 cars from Scalextric and Ninco to Carrera and Slot.it. For the beginner there are competitive loan cars on hand and for the absolute beginner some indestructible 'hacks'!